Fire up the oven! Roasting fresh veg is so easy and they make an excellent filling for tacos. Preheat the oven to 200ºC (180ºC for fan assisted ovens), gas mark 6. Place all the vegetables in a large shallow roasting tray. Drizzle over the oil and toss to coat then sprinkle over the salt and crushed chillies. Roast, uncovered, for 25-30 minutes, turning once until tender and lightly charred in places. 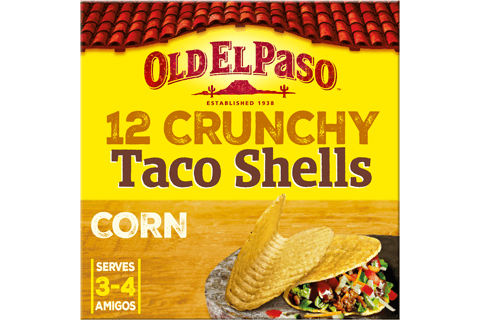 Meanwhile warm the taco shells as directed on the packaging. 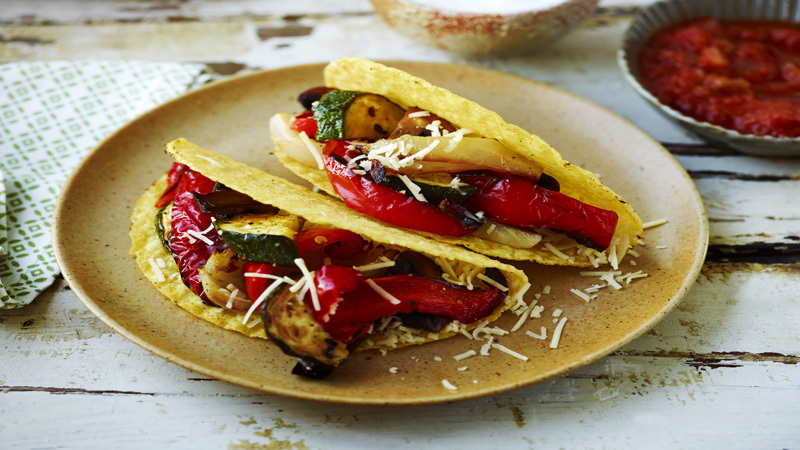 Divide the grated cheese between the tacos and top with the roasted vegetables. Serve with the salsa and soured cream. Try other vegetables such as aubergine slices and small chunks of sweet potato or butternut squash for a change. Spread a layer of creamy guacamole on the warmed tacos before adding the roasted vegetables, if liked.